1. Stocks still have room to gain: It’s been a bumpy ride for stocks lately, but the bull market that began in March 2009 is about to make history: On Wednesday, it will be 3,453 days old — the longest ever. Barring an absolute meltdown, this bull market will be longer than the epic rally of the 1990s. The S&P 500 hit a low of 666.79 during the Great Recession. It has more than quadrupled since then. Now investors are debating how much longer the rally can last. The S&P 500 is up nearly 7% in 2018 and is now less than 1% below the all-time high that it set in January, before the brief inflation panic. The Nasdaq, which has surged more than 13% this year, is just 1.5% below its peak. The Dow, on the other hand, has lagged both the S&P 500 and Nasdaq this year. But it is still only 3.5% from its record high. US markets have proved remarkably resilient as other major global indexes have fallen. China is in a bear market. The Shanghai Composite is down more than 25% from its 52-week high. Japan’s Nikkei is slightly lower for the year. Germany’s DAX and the UK’s FTSE 100 are also in the red for 2018. LPL Financial market strategists John Lynch and Ryan Detrick remain optimistic about US stocks. “We expect more ups and downs over the rest of 2018; but that doesn’t mean the bull market is nearly over,” they wrote, adding that more government spending, healthy earnings and low inflation mean that this economic expansion and bull market could potentially last years into the future. The S&P 500 hasn’t topped its January 26 highs yet. The bull market hit the pause button. 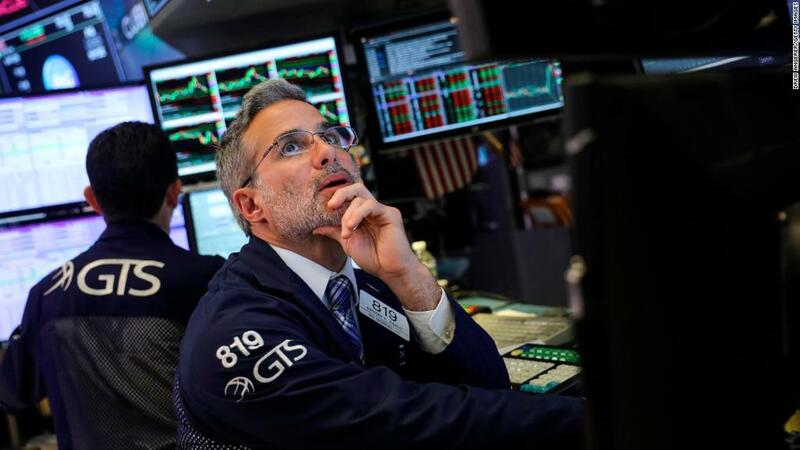 But Stephen Auth, chief investment officer for equities at Federated Investors, thinks the market should soon pass the January peak and continue to climb. Investors are nervous, which might actually be a good thing. Crashes usually happen when investors are overly optimistic. Auth thinks that there’s a good chance the Fed will slow its rate hikes next year because inflation has remained low. He also thinks trade talks between the United States and China will improve. “Sooner or later, the market should sniff this out and bust out higher. Bears beware: above the January highs … there is nothing but air,” he wrote. 2. Retail earnings: Target, Kohl’s, TJ Maxx owner TJX, Ross, the Gap and Foot Locker will report earnings this week. Wall Street analysts expect another strong round of earnings like last week. People are spending more freely because of low unemployment and a booming economy. 3. Moving in: The National Association of Realtors on Wednesday will report the number of existing US home sales in July. Sales have been sluggish over the past few months because of high home prices, which might be turning off some potential buyers. Last month, the National Association of Realtors said existing-home sales dipped 0.6% in June. Will that trend continue? Home builder Toll Brothers will report its latest results Tuesday, too. 4. More tariffs: The next round of tariffs — on $ 16 billion worth of imports from China — will go into effect on Thursday. The 25% tariffs will be imposed on nearly 300 products, including motorcycles, speedometers and antennas. This is the second time the Trump administration has placed tariffs on Chinese products, despite warnings from American business that the costs will be passed on to consumers. The administration has accused China of unfair trade practices. Chinese online shopping company Alibaba will report its earnings Thursday. 5. Fed minutes: The Federal Reserve will release minutes from its August 1 meeting on Wednesday. Investors will watch closely for signals about the Fed’s response to the intensifying trade issues between the United States and several countries. Fed chair Jerome Powell will deliver a speech Friday about “monetary policy in a changing economy” at the central bank’s annual gathering in Jackson Hole, Wyoming.